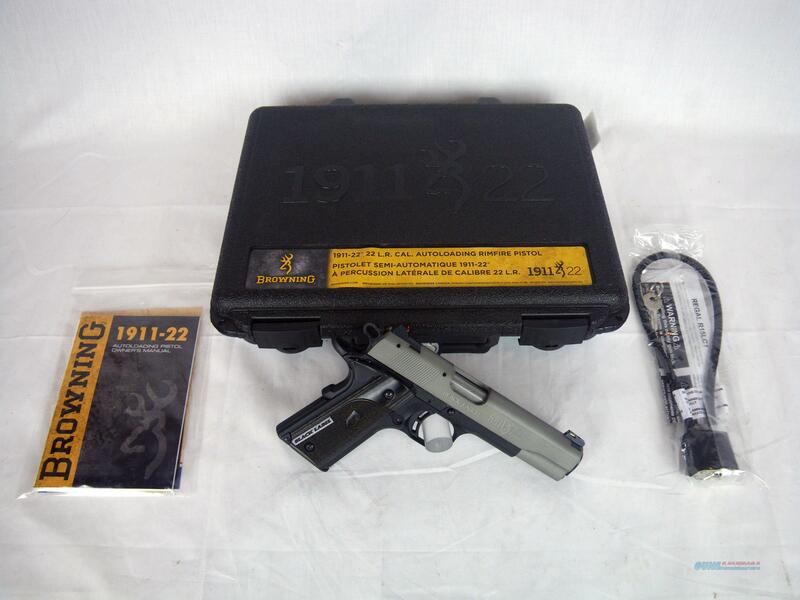 Description: You are bidding on a new Browning 1911-22 Black Label Gray Full Size in 22lr with a 4-1/4" barrel. This limited release Shot Show handgun comes with fiber optic sights, black composite grips and a gray anodized finish. The Browning 1911-22 is built to 85% scale of the original 45 ACP 1911 designed by John M Browning. Displayed images are stock photos. Any questions please feel free to ask (our phone number is in the additional information tab above).